A city woman has admitted to calling in hoax bomb threats against the Camden Federal Courthouse and Hughes Justice Complex in Trenton. Amdije Toska, 40-year-old, pleaded guilty to a single count of hoax bomb threats on Friday, authorities said. She faces a maximum of five years in prison and fine of $250,000. Toska called the Clerk’s Office at the Camden Federal Courthouse on Jan. 12, 2018 and said there was a bomb in the building. Court employee who answered the phone recognized Toska as a civil litigant in a case assigned to a district court judge. 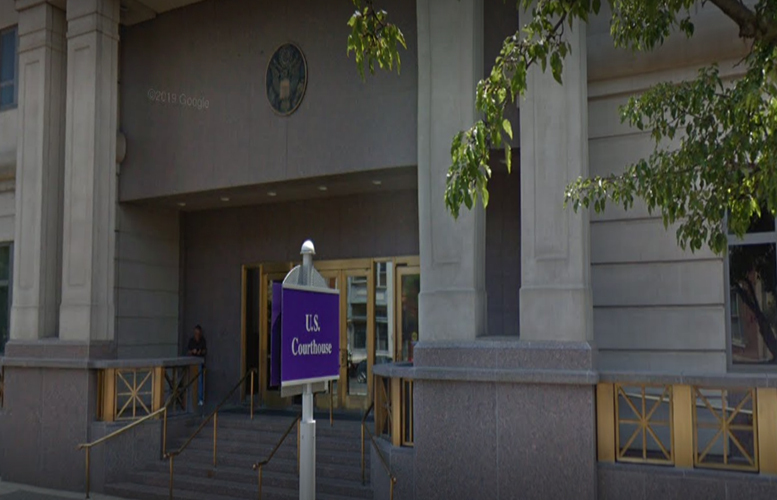 This judge had issued an order directing Toska to cease all communications with the Clerk’s Office and allowed employees of the office to disconnect future calls from her. “There’s a bomb in the building, run,” Toska said in a second call to the Clerk’s Office. Camden County Police, U.S. Park Service (Philadelphia Office) and Camden County Sheriff’s Office responded to the courthouse with K-9 units to investigate the threat. Toska called in a third bomb threat on the same day. An employee asked why she was making bomb threats against the building. “The judge is torturing me, so I am torturing you, an eye for an eye,” Toska replied. At the same time, she was also torturing employees at the Hughes Justice Complex in Trenton. Toska’s false bomb threat prompted the evacuation of the building. “I have had enough of being ignored I am prank calling the entire world,” Toska wrote on her Facebook page on the same day. She made similar posts on Twitter. Toska is scheduled to be sentenced on Jul. 18, 2019. That's not the right question. What are you going to do about it? I'd suggest you call up the new police chief or the FBI in Woodland Park and provide evidence.